Help Save the Teatro Valle! I love grassroots efforts. The effects of normal people pitching in to help others or spearhead a good cause always makes me feel good. My friend Valerio, an actor and talented playwriter in Rome, has been involved in just such a cause, and now he's asking for our help. The Teatro Valle is an historic theatre in the heart of Rome. It was built in 1726 and was the only opera house theater in the city at the time. It is the oldest active theater in Roma. The beautiful auditorium is lined with lush viewing boxes in a horseshoe shape, surrounding the gallery and looking down to the stage. It is just a few steps from Piazza Navona and the Pantheon, and yet is largely overlooked and unknown to foreign visitors. The theater has been a public treasure and home for the performing arts for years, but in 2010 as part of budget-cutting measure's the city shut it down and proposed privitizing it, thus taking it out of the public domain and artistic access. Valerio and a group of artists, performers and everyday people banded together and occupied the theater to keep it from being transferred into private hands or closed altogether. They have lived in and performed in the Teatro Valle since then, working tirelessly to form an official organization and get funding. During the "occupation" they have written plays and performed them for the public, put on workshops and symposiums, and brainstormed on the vision for the theater's future. They are culturally and artistically-minded. They now have a very good chance of winning funding, thanks to a bando, a public competition for funds through the Bene Comune Foundation. Their proposal has made it through the process and is among the 32 finalists. But this is where he needs your help! The funds are awarded partly on the merits of their presentation and formal proposal, and partly based on internet voting by the public. He is asking for your vote in this final leg of the race - there are only a few days left, as voting ends on January 13. Please take a few minutes to register on the site and cast your vote for Crisi 2.0 TEATRO VALLE. It's easy and takes just a few minutes. There is a YouTube video to show you how to do it, too. This gem of a a theater deserves to be saved and their vision for performances, workshops and theatrical training for budding writers and actors is noteworthy. Just two minutes of your time can make a difference, and you can then go visit the theater for yourself when you're next in Rome to see it for yourself! 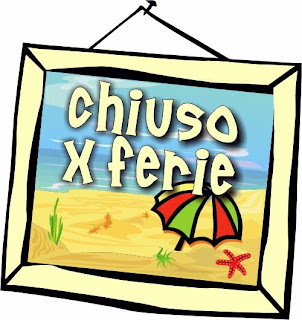 CheFare - Bene Comune Foundation - Public Competition for Cultural Funding of 100,000 Euros. This link takes you to the Teatro Valle page. Click "Vota" where you'll be asked to register. Once you've done that and confirmed your registration, you can return to the page and cast your vote. 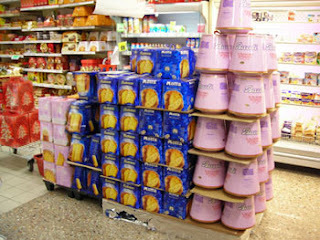 In my youth I’d heard about panettone, the traditional Italian fruitcake proffered only at Christmastime. I had pined for a taste but had never laid eyes on what I imagined to be a refined-tasting confection of golden-hued beauty. The weighty whole-fruit- and liquor-filled fruitcakes which Americans consume seemed coarse and common in comparison. Then I moved to Italy and received a hefty number of panettone, handed out like Christmas cards by each and every acquaintance. Huge slices were presented in every home we entered, every restaurant in which we dined. I thought, ‘Wow, they really like their panettone!’ After a few years of this ritual, I came to realize that rather than devouring great quantities of the stuff, everyone was, in actuality, trying to unload their extras, re-gifting them to the next friend or stranger they happened upon in a desperate attempt to lighten their own fruitcake burden. While my friends would sing the praises of it - “e' tradizionale, molto buono,” they kept repeating - most of them would then admit that they didn’t really like more than a couple of slices a year themselves. Because, while the taste is not offensive, nor is it exactly a sensory experience. 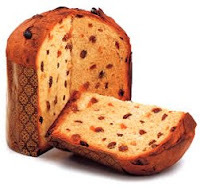 A few candied fruits and raisins in a high-rise, bread-like, sweetened airy loaf. Kinda boring, really. And the trouble is, everyone keeps giving them to everyone they know, creating a glut in every household. The other holiday sweet-bread that is available, Pandoro, is better, because you don't have to dodge the candied fruit pieces, and the addition of butter gives it a bit better taste. But personally? I'd prefer a Poundcake. Buttery goodness, real cake texture, and...well, it just tastes darn good despite the cholesterol-raising ingredients (which is, of course, what makes it yummy). But that's the Americana in me. I do find panettone more edible when made into French toast or slathered with Nutella, because as everyone knows, just about anything tastes better with Nutella. But still; there is only so much of it you can take, and because of the ridiculous, sheer excess we tried to figure out what to do with it, besides actually eating it. Sure, we could resort to feeding it to the pigeons, but we feel a sort of moral obligation to not encourage the flying rats to remain in the centro storico. One evening, with nothing better to do than contemplate our panettone overload, we came up with a few brainstorms to have a little fun with the stuff, in case you ever find yourself in a similar position. *Ding Dong Ditch It. You can relive your childhood games while spreading Christmas joy far and wide by leaving your unwanted boxes on the doorsteps of unsuspecting souls, ringing the doorbell and running away as fast as you can. This may best be played in a neighborhood other than your own if you don’t want to run the risk of your friends returning the gifts to your own front porch. *Flame Them. Cut into rectangular sticks and let them sit out to dry. Then dip them in strong booze and use them as fire-starter sticks. *Have a Treasure Hunt. Gather the little ones around the table and cut the panettone into as many wedges are there are kids. Then let them dig in and get their hands dirty, picking out all the raisins and fruit pieces. The one to find the most treasures wins a prize. My first glimpse of the Adriatic was many years ago during one of our early trips to Italy. We were heading to Urbino from Treviso and stopped off at Rimini to have a look at the sea. Big mistake. The industrial zone, the huge port and the ugly concrete apartment blocks didn't cast it in a golden light. Granted, the overcast, damp and cold weather didn't help any either, but we weren't impressed. Later, when we lived in Ascoli Piceno we frequented the nearby beaches of Porto d'Ascoli, San Benedetto del Tronto and Grottammare. They were easy to reach with long stands of sand and some good restaurants, but with the railway line rumbling right along the shore and the overall modern feel of the area, we went to splash and get tanned but didn't really take to it as "our type" of beach atmosphere. Then we discovered the Costa dei Trabocchi, down south of Pescara in Abruzzo. This is the shoreline that has the charming fishing platforms, the locale of our now-storied seafood lottery feast. The part of the Adriatic where you can find hidden coves with few people and pebbled beaches where the water is truly crystalline and where hills with stone villages rise above the waters. It's where there is an appeal; where you can enjoy the water and the sun in tranquility. And where my sister dipped her toes for the third sea of the Coast to Coast...to Coast tour. It happened sort of by accident. We were traveling from Basilicata to Ascoli Piceno to spend a few days with friends. Hunger hit. We got off the autostrada to meander along the coast road and find a place to eat that didn't involve Autogrill panini (not to diss the blessed Autogrills, mind you; you know how much I love them). But we had time, and we wanted a real meal. And Sis wanted to see the third sea. And so, as often happens when you're hungry in a place that you don't while traveling, you happen into a joint hoping for the best and expecting the worst. 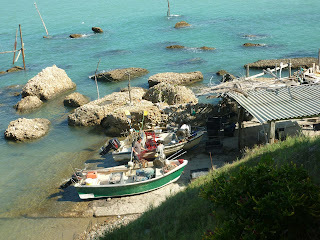 We happened to find a surprise - Ristorante Zi Nicola, outside Vasto. Zio Nicola was in the kitchen and lovely aromas were wafting out of it. We ran for a table that overlooked the water, with the ruins of a trabocco below. The guys at the table next to us heard us speaking in English and piped in a few words, asking Cara where she's from. When she said, "Ohio," all broke into excited exclamations; they work for a company that is based in Toledo! Ma come mai! Che coincidenza! And we had companionable chatter through the rest of our lunch. Our lovely, delectable lunch. I swear that Abruzzese cooking is some of the best in the country, and it holds true in their seafood dishes, too. Unbelievably delicious stuff came our way. Plate after plate of antipasto. Then heaping helpings of homemade chitarra pasta with fishy-things. And. Well, we had to stop, much to the dismay of our new lunch-mates who hoped we'd keep pace through the next pasta and main course with them. Alas, the girls had to give in and go. But during the meal we watched the boats passing in the distance, and eventually saw a man and his son arrive at the fishing craft below. He was showing the boy how to repair nets. They saw us eyeing them and shyly waved. I snapped a photo discretely. It was such a tender scene, watching the man pass his knowledge on to his figlio. After we ate, the restaurant owner showed us the path that leads to the water. We scrambled down, past the fishermen, who greeted us warmly, and Cara peeled off her sandals to dip her toes in the water. Colder than she expected, following our swim in Maratea. I can't find her foot photo, now; sorry. We got back in the car to reach our destination. In the following days we visited Grottammare with my friend, Cinzia, walking along the Lungomare and looking at the Liberty style villas, but Sis agreed that the Adriatic's Costa dei Trabocchi is a special place. A coast of enduring traditions, warm people, and fantastic food. Second up on the Coast to Coast to Coast tour was the Mediterranean. The fabled sea that laps the shores of southern Europe and northern Africa, and flows out the Straights of Gibralter. It is on the opposite side of Basilicata from the Ionian, and is opposite in character, too. Where the Ionian is shallow and limpid, the Med is deep and moody. Steep hills tumble down to it, like they want to jump into the sapphire depths themselves for a splash in the surf. The waves roll in with more force - the Mediterranean is felt. We actually made two forays to its shore - once in Agropoli, south of Salerno, where long golden sand beaches curve out from the town. Here we parked ourselves for an aperitivo of local white wine while watching the sunset and listening to the water rhythmically make landfall. Cara of course submerged her feet for a photo. Later, we went to Maratea, the gem of Basilicata's coast, with its pastel houses, dramatic cliffs, pretty port, and unique black beaches. Teensy opal-like pebbles -that are actually smaller than pebbles but bigger than sand grains- carpet the coves and make the water appear even bluer than blue. Beaches are wedged in between rock formations, involving a descent to reach them. As such, they're pretty uncrowded. We sunned ourselves, took a swim, and enjoyed a warm morning of beach-time in mid-September, a nice treat for my northern Ohio sister who knows that her hometown has only two seasons - Winter and Non-Winter. September turns the tide on the interval between them. We spent the night in a gorgeous hotel above the sea, where the meal was memorable and the gourmet bath goodies made us swoon like the girly-girls we are. We roamed around the delightful historic center, popped around the port (where the best gelato in Maratea is found), and took in the breathtaking views from the hilltop above. The Mediterranean is my favorite, and the Cilento area, from Agropoli to Sapri, is the my favored destination. Maratea is, in my Lucana-biased opinion, the loveliest resort on the coastline, with all the dramatic scenery you'd see on the more famous Amalfi Coast, without the crowds and high prices. The road isn't quite as scary to drive, either. My sister agreed it was the highlight beach for her, as well. Summer is over, regretably. No, I didn't spend more than a month on vacation, as much as I'd have loved that. I returned from the US to a full onslaught of work, bureaucracy, and travel planning for an upcoming family reunion as well as a visit from my sorella. My sister is a fearful flyer. Not just mildly bothered, but full-out aggitated, stresses herself, cringes at every bump of turbulence kind of fearful. Despite that, her love of Italy, desire for some sister time and need of a vacation drove her to stuff a suitcase, zonk down Xanax, and board a plane across the ocean. She didn't have many things on her sightseeing program but was decisive about a few things: meals she wanted to eat and beaches she wanted to visit. Having come mostly in spring or autumn, she hadn't really been able to see Italy's coast in sunny, warm weather before. This turned out to the be Trip of the Three Seas. She dipped her feet into all three of Italy's surrounding bodies of water in her two-week trip. The first was the Ionian, which flows into the instep of Italy's boot. Located an hour from my village, it's the closest sea to us but is -I hate to admit- a fairly unimpressive flat plain flanked by concrete block towns. The redeeming value is that there are some natural beaches backed by pines and dunes where only a few of the beach establishments are allowed, where few tourists flock, and where you can relax to the sound of the surf. If you head to the Ionian Sea, bypass the squalor of Scanzano and the low-class mediocrity of Metaponto and park yourself at Marina di Pisticci. Here you'll find better exposure to breezes, long stretches of sand, and stands of woods to break the beach monotony. Our favorite parking place is the Riva dei Ginepri, a summer vendor with thatch umbrellas, lounge chairs and a snack bar that also serves up decent lunches. I figure if it's good enough for the guests of Francis Ford Coppola's swanky hotel, then it's good enough for me. Or, at least, they don't turn me away. Granted I don't get to garner one of the luxurious curtained cabanas that are set aside for the Coppola crowd, but it's a nice place to spend a day at the beach. Cara didn't want to swim, so we strolled the shoreline, evading several medusas (jellyfish) that were washed up on the sand, and she snapped a photo of her feet in the water to prove she was at the Ionian, the soemtimes forgotten of Italy's seas. 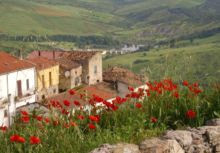 We headed uphill afterwards to Bernalda, home of the hotel that is gaining fame to have an aperitivo in Coppola's Cinecitta' Bar, where we were warmly welcomed and graciously served by a top-notch barkeep who chose a great local white for us to try. A piece of local gossip that we heard is that the Palazzo Margherita will soon be the site of the big-splashy wedding between Justin Timberlake and Jessica Biel (next week, they say). We'll see if the Bernalda rumor mill turns out to have credence. Like the rest of Italy, I'm heading off for August vacation. Buone vacanze, tutti!